Everybody loves a good deal, particularly on items or services that can be pricey, like car insurance. For those just beginning their search to find a car insurance policy, the prospect can be daunting, time-consuming and quite stressful. Luckily, we’ve compiled a guide on how to easily secure the best auto insurance rates on policies that provide both great coverage and a great price. Insurance rates can vary significantly from vehicle to vehicle. This is due to risk assessments carried out by insurance providers that determine the potential expenses involved with insuring particular types of vehicles. High-end luxury vehicles and sports models, for example, usually come with higher premiums; the former because they are more valuable to begin with, the latter because the likelihood of these vehicles being involved in an accident is (usually) statistically greater. 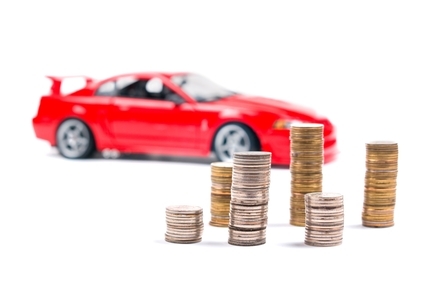 Make, model and age of the vehicle are all factors that affect the price of insurance. That’s why it is prudent to get quotes on specific vehicles before you make the decision to buy. You’re not going to find the best auto insurance rates if you don’t conduct quote comparisons. The way one provider rates you as a driver could differ significantly from the next, meaning that cost may also vary significantly. While there is no magic number for how many quotes you should get, it is generally recommended that you obtain at least 3 estimates. The most effective way to do this is by using an online quote tool, which will search available options based on your information and present the best auto insurance rates in a simple format. And, this process is much quicker that picking up the phone and calling different insurance companies. Those who are purchasing a new vehicle may find that they are entitled to insurance discounts that they weren’t eligible for with previous vehicles. Things like advanced safety features, technologically-superior anti-theft systems and other such equipment could mean that the newer vehicle is less risky to insure, which drives rates down. Also, if you are purchasing a new vehicle, you can opt for a multi-vehicle plan which could lower prices, and even bundle your insurance package to include multiple vehicles, home and life insurance. Experienced insurance brokers are experts at finding the best auto insurance rates for clients. Any discounts, package deals, or other aspects that can drive your insurance premiums down will be on their radar. If you want to maximize the discounts you can get, enlisting the assistance of a good insurance broker is the way to go. Let the team at ARC Insurance help secure you the best auto insurance rate available. Call 1-888-633-9898 today to speak with one of our insurance experts!